Join us as we look at how MWF Panel Stacker can optimize the sequencing and transport of your MWF panels in this month's masterclass. Calculate panel and bundle weights. Create "areas" to organize panels into stacked bundles for shipping. 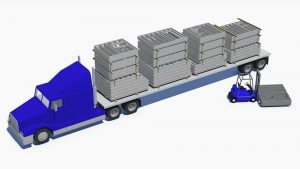 Optimize panel stacks based on transportation constraints. Produce detailed bundle reports including overall panel dimensions and packing slips. Associate panel shop drawings to each bundle & much more. This tool represents StrucSoft Solutions first foray into the field of shop floor management. We’ll see how easy it is taking a panelized project from the shop to the job site: accurately & efficiently. Register now for our live webinar Thursday December 14th at either 9am or 2pm EST. Recordings will automatically be sent to all registrants. To learn more about MWF Panel Stacker, please click here. StrucSoft Solutions is an experienced developer of solutions for the AEC and manufacturing industry.